There are plenty of fake aesthetic injectors out there who are preying and capitalizing on your desire to look younger. The scary truth is that many “providers” are not actually licensed or qualified to inject. My name is James Christian Sardelli, RPA-C, and my passion is providing expert injector services to my clients on Long Island and Manhattan. I am a registered and certified Physician Assistant with over 10 years of experience injecting BOTOX and fillers. Read on to learn about the areas of training that an expert injector should have. Please…don’t let anyone inject you without being certain of his or her qualifications in these areas! Your injection specialist should have extensive knowledge of facial muscle anatomy including the origin and insertion of each muscle, as well as the ability to determine which muscles are responsible for producing wrinkles and creases in specific facial regions. Complete understanding of physiology of the nerves and blood vessels of the face so that injections into facial areas will not negatively affect any important facial structures. Full knowledge of how onabotulinum toxinA works to paralyze the muscles; how much is needed for each facial area; how long it lasts; knowledge of other toxin brands and which individuals would benefit from each. Your professional should be able to provide you with a list of side effects and possible contraindications and be aware of any medications you are on or medical conditions you have which may affect your treatment outcome. The ability to avoid adverse effects, and if they do occur, he or she should have the knowledge about how to treat such results. How to properly and effectively combine neurotoxin injections with dermal fillers to provide the safest and most successful results. Highly qualified expert injectors should know “best practices” for techniques for treatment, how to properly prepare muscle relaxing substances, and how deep to inject into facial muscles. They should have many hours of observing model patients being treated, and have also received expert supervision during consultation, planning, and injection of treatment solution on live patients. He or she should have proper technical expertise regarding minimizing discomfort during injection. Correct injecting techniques to address wrinkles and creases of varying depths (shallow to deep and everything in between). Knowledge of which dermal filler products are appropriate for each aging concern; lip fillers, cheek volume, vertical lip lines, forehead creases, etc. Lip filler expertise to effectively provide volume where desired, beautiful borders, and correction of natural asymmetry concerns. Proper fee structure for services that is fair and competitive. Keeps up to date on the latest FDA-approved dermal filler products, how they are used, and phases out obsolete products as appropriate. Attends ongoing medical and aesthetic education to keep his or her license and knowledge current. 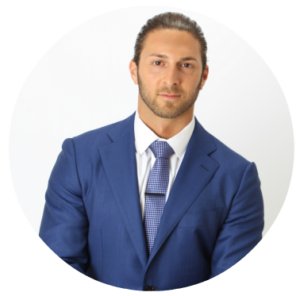 James Christian Sardelli, RPA-C meets all of the above requirements, and he is one of New York’s most qualified injectors of muscle relaxers and fillers. With 9 locations (and growing! ), his loyal clientele increases daily. His gentle touch, expert technique, and over a decade of experience are just a few of the many reasons why you should consider James for your aesthetic injectable needs. Call today or text him at (917) 860-3113. James Christian Cosmetics has multiple locations in Commack (flagship office), Islip, Manhattan, West Sayville, Farmingdale, Westhampton Beach, Rockville Centre, and Huntington. *BOTOX® is a registered trademark of Allergan, Inc. All images of people pictured on this page are of models.